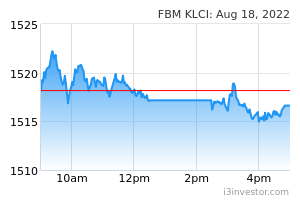 We maintain our BUY call on Mynews Holdings (Mynews) with an unchanged FV of RM1.66/share, pegged to a P/E of 27x FY20F. Our PE is in line with 7-Eleven Malaysia’s historical PE ratios. We like Mynews for its: 1) franchise opportunities arising from the myNews.com brand name and 2) growth potential from its food processing centre (FPC) offering ready to eat (RTE) and bakery products. Key risks to Mynews are: 1) restrictions on supply of foreign labour (which makes up circa 32% of Mynews’ workers); and 2) delay in the completion of its FPC. 1QFY19 net profit grew by 29.9% YoY to RM8.2mil (vs RM6.3mil in 1QFY18). This came in within both our and street’s expectations, accounting for 23.6% and 24.7% of our full year forecast. 1QFY19 topline grew 37.0% YoY on the back of higher number of outlets of 439 (vs 366 outlets in 1QFY18) as well as improved product offerings, store concept and addition of Maru Kafe since 4QFY18. EBITDA improved 42.7% YoY to RM13.5mil (vs. RM9.5mil in 1QFY18) in tandem with better sales performance. Subsequently, EBITDA margin improved slightly by 0.4ppt to 10.9% in 1QFY18 from 10.5% in 1QFY17. We believe this was on the back of an improved basket size in tandem with the installation of Maru Kafe, a better product mix, improvement in sales trend, and better management of operating expenses. The food processing centre (FPC) in Kota Damansara which has the capacity for distribution of ready-to-eat (RTE) and bakery products to 600 stores, is expected to be completed by 2QFY19. We are excited over the completion of the company’s FPC. However, we believe the initial gestation period would take about a year. 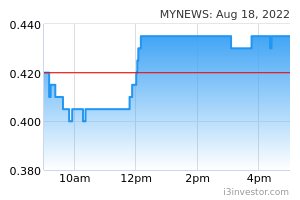 We opine that in the long run, Mynews’ gross profit margin would improve underpinned by a higher margin contribution from the fresh food segment.